The Bequia Youth Sailors depends completely on the generosity of its sponsors and supporters, as well as the time given by so many who help run the charity, train the young people and help in so many different ways. If you would like to get involved and support the program, there are many ways you can help. Equipment : We are always looking for equipment for the boats and their crew. Eg. 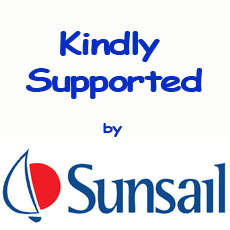 In the past people have donated torches, rigging, life jackets and even an outboard engine, so if you have sailing equipment you no longer need, or are updating, please contact the team and let them know. Financial : If you would like to make a financial donation, please send a cheque made payable to ‘Bequia Youth Sailors’ to: c/o Handy Andy’s shop, Main Street, Port Elizabeth, Bequia, St Vincent & the Grenadines, West Indies. Sponsorship : If you are interested in sponsoring the Bequia Youth Sailors, either in general or for a specific event / function, please get in touch with the team to discuss your interest. All sponsors will be receive acknowledgement through the website and associated marketing. Time : If you would like to get involved with the team and offer your time and expertise, we’d love to hear from you. It doesn’t matter if you have a few hours a week, or as a one-off event to help the team learn new skills. We always have things that we need help with or ideas that we have yet to bring to fruition. If you have any questions regarding donations of any kind, please contact the team.